HELENA — The Legislature passed a bill 83-17 Tuesday that offers a compromise on the 2005 federal “Real ID Act,” which standardizes state identification cards. At the end of this year, a Montana driver’s license would not meet the federal standards to be used for air travel or access to federal facilities. Senate Bill 366 would give Montanans the option of paying a fee for a special license that complies with the federal guidelines. The bill will now go to Gov. Steve Bullock. It also appropriates $1.852 million starting this July from a state special revenue account for the Department of Justice. The amendment also includes a provision if the state receives an extension for compliance, that appropriation can be pushed back a year. 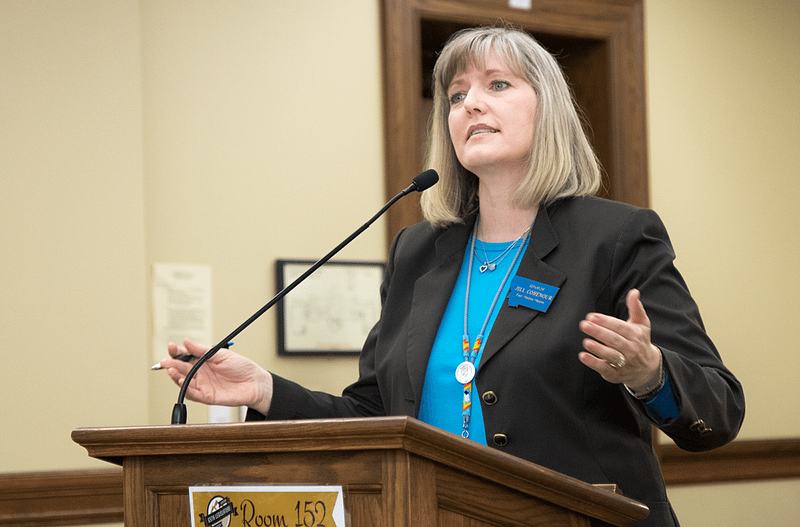 “The fees would remain at the $25 and $50, so that we can make the loan payments and the department would only be drawing on the account as needed,” said Sen. Jill Cohenour, D-East Helena, who is carrying the bill. “With a license renewal, $45 is added to the $25 – max is $65 on that,” Cohenour said. “And then if you’re an early implementer, you have the $10 added to the $50,” Cohenour said.